Collagraphs made in 2016 in Emily Harveys beautiful studio in York. Varous plates were made, using plaster, collage and textures. Paint was left in the crevaces of the work and once this went through the press the image was pushed onto the prepped dampened paper. That is a very brief explanation - it's actually quite a long process, with loads of graft involved. The results achieved are beautiful though. I have recently been taught to operate a laser cutting machine which is has been great. The photo on the left shows my newly made 'Wooden Flower Brooch' which has an orange cotton background as seen through the wooden petals and a brooch pin sewn into felt backing (brown). 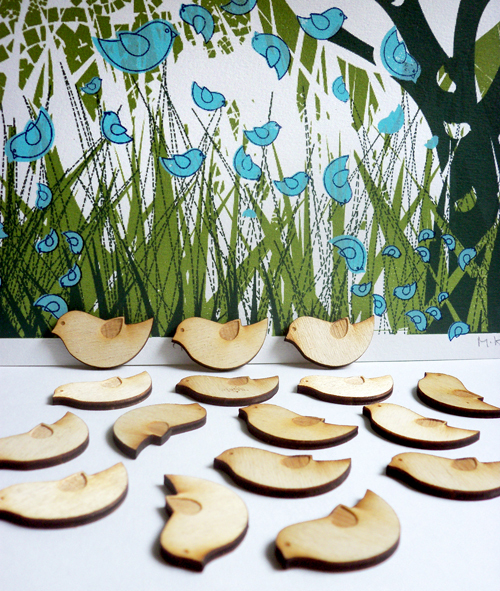 Inspired by my Blue Birds 4 Colour Screen Print. 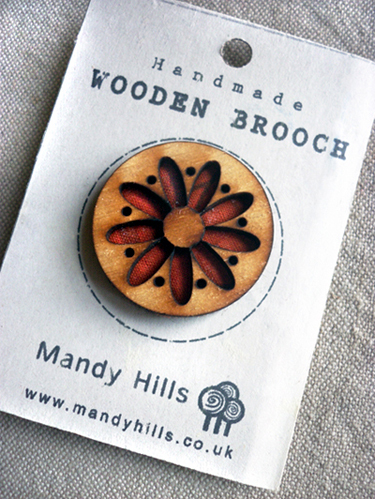 The photo below shows my newly made 'Wooden Flower Brooch' which has an orange cotton background as seen through the wooden petals and a brooch pin sewn into felt backing (brown).